International outcomes of centres performing ECLS (extracorporeal life support) are highly variable due to differences in patient selection, cannulation technique, practitioner experience and hospital volume. 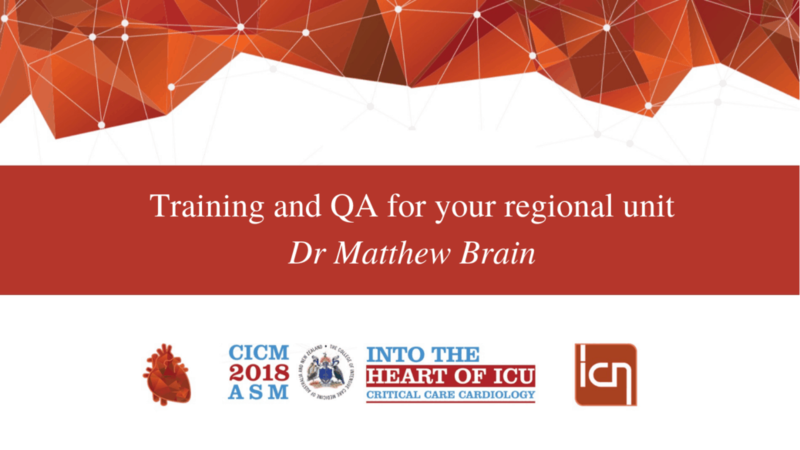 We describe the experience of one of the first regional intensive care units in Australia to provide both VV (veno-venous) and rescue VA ECMO (veno-arterial extra-corporeal membrane oxygenation). Review of internal registry and description of processes and procedures in an 11 bed regional general ICU without on-site cardiothoracic surgery. Over a 3.5 year period 21 patients received ECLS (90 ECMO days) with an overall 55% survival. All cannulations were peripheral. 4 patients were retrieved from peripheral site. 8 patients subsequently transferred to quaternary centre. Overall survival for VV ECMO was 64% (n=11), rescue VA ECMO (n=12, 8 from E-CPR) 33% survival. Provision of ECLS (extracorporeal life support) in large regional centres is possible with outcomes similar to high volume centres if established with realistic goals, limitations, and referral pathways to a supportive high volume referral centre. Advantages include timely establishment of life support without the inherent delays of long distance weather dependent aero-medical retrieval and ability to stabilise and prognosticate at the local site. Straight-forward VV-ECMO can be entirely provided at a regional site whilst highly complex patients can safely await further transfer. Regional ECLS provision facilitates appropriate patients receiving ECLS at an optimal time that minimises excessive morbidity.